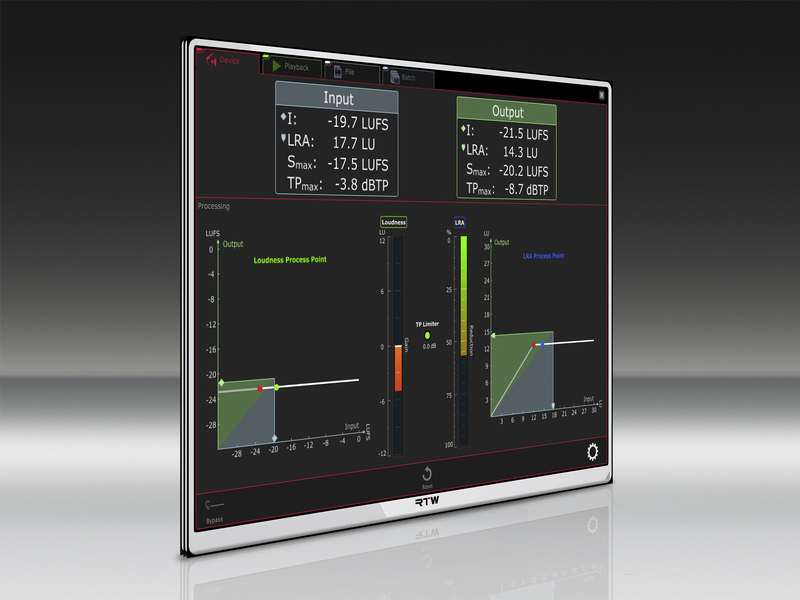 LOS ANGELES, SEPTEMBER 26, 2016 – RTW, a leading vendor of visual audio meters and monitoring devices for professional broadcast, production, post production and quality control, will highlight its range of loudness metering and measurement solutions, in particular its newly upgraded Continuous Loudness Control (CLC) software Version 2.0, at AES 2016 (Avid Pavilion, Booth 203). With the release of version 2.0, RTW’s CLC further improves the quality of loudness processing with various enhancements of its superior processing algorithm. The feature set of the software is also strengthened with a number of new options, including batch processing of audio files, extended audio format, a new expert mode, Mmax and Smax limiting, report functions, and optimized presets for streaming audio and support for the latest updates of loudness standards. RTW will also highlight a range of its software and hardware solutions at this year’s AES in Los Angeles. Among the products on display will be the company’s Masterclass Plugins, which includes the Loudness Tools and Mastering Tools software and its USB Connect software. Other products at the show will include RTW’s TouchMonitor instruments and its SurroundControl Series.